After months of rumors and desperate searching—and a continually ticking clock—CBS has finally announced the lead for its upcoming Star Trek series, Discovery. 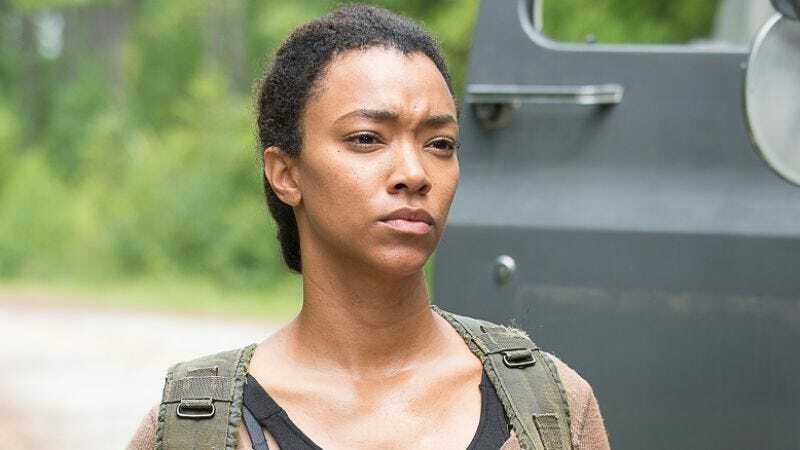 Deadline reports that Sonequa Martin-Green—best known for her role as damaged survivor Sasha on The Walking Dead—will play the starring role, Lt. Commander Rainsford. The role was previously referred to as “Number One,” the U.S.S. Discovery’s second-in-command. Discovery is currently set to premiere on CBS in May 2017, before making the move to the network’s streaming service, All Access. The new series suffered a fairly serious setback recently, when much-anticipated producer Bryan Fuller announced that he was stepping down from acting as showrunner for the show.